Apart from commodities and securities derivative markets would be further integrated by integrating the participants,brokers and operational framework, Finance Minister Arun Jaitley said in his Budget speech for 2017-18. In order to improve business, government announced on Wednesday a paperless online mechanism for registration of brokerage firms, MFs, portfolio managers and other market intermediaries apart from linking demat accounts with Aadhaar. Besides commodities and securities derivative markets would be further integrated by integrating the participants,brokers and operational framework, Finance Minister Arun Jaitley said in his Budget speech for 2017-18. Sebi, RBI and CBDT would jointly put in place systems and procedures for a common application form for registration,opening of bank and demat accounts and issuing PAN for Foreign Portfolio Investors (FPIs). This will greatly enhance operational flexibility and ease of access to Indian capital markets. "The process of registration of financial marketintermediaries like mutual funds, brokers, portfolio managers,etc will be made fully online by Sebi. 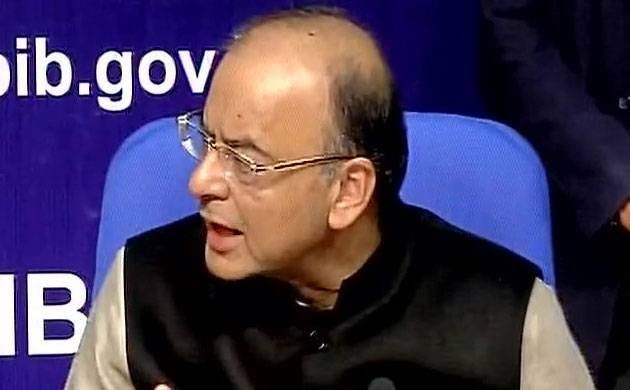 This will improve easeof doing business," Jaitley said. The proposed system would help make it easier for the existing and new market intermediaries to complete their registration and other regulatory filings with Sebi much faster and in a cost-effective way. He further said that steps will be taken for linking of individual demat accounts with Aadhaar. To strengthen IPO market and channelise more investments, Jaitley has proposed to allow "systemically important" NBFCs, regulated by RBI and above a certain net worth, to becategorised as Qualified Institutional Buyers (QIBs). Presently institutions such as banks and insurancecompanies are categorised as QIBs by Sebi. They are eligible for participation in IPOs with specifically earmarked allocations. The minister also proposed to exempt capital gains arising out of transfer of a rupee denominated bond by a non-resident to a non-resident. "It is proposed to provide that in case of unit in theconsolidated plan of a mutual fund scheme received in lieu ofunit in the consolidating plan, the actual cost and the periodof holding shall be the cost and the period of holding of theunit in the consolidating plan," Jaitley said. Also, he has proposed to provide tax neutrality in case ofconversion of preference shares of a company into equityshares.